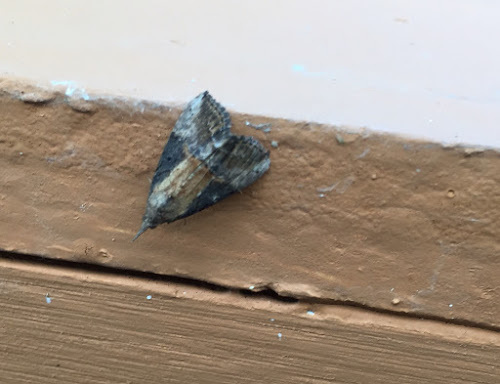 Bomolocha Moth - Hypena sp. My co-worker Becky graciously lent me her phone to photograph this moth. 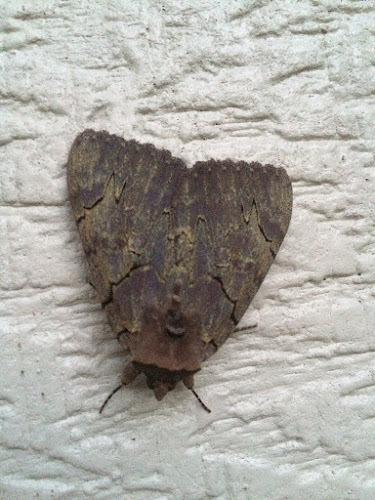 The odd name, Bomolocha, is an old genus name for this moth. It comes from the name of buffoon type of character in Greek comedy, a Bomolochus. There are a handful of very similar Hypena moths found in Minnesota.